Dr. Salvatore is a Board-Certified Neurologist with a medical education from Western University of Health Sciences in Pomona, CA. He completed his training with an internship and residency at Ohio University, Grandview Hospital and Medical Center in Dayton, 0H. After completing his training, Dr. Salvatore practiced at Baptist Health Louisville, Louisville KY. While there he served as Medical Director of the Stroke Program and was recognized as one of Louisville’s Top Docs. Dr. Salvatore joined Gilbert Neurology as a Neurohospitalist in June 2014. 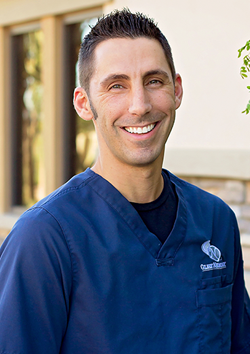 He sees patients at Mercy Gilbert Medical Center and Chandler Regional Medical Center. Dr. Salvatore is a neurohospitalist, a type of neurologist that sub-specializes in acute neurological emergencies and inpatient care. He is the current Neuroscience Director and Stroke Program Medical Director at Chandler Regional Medical Center our local level one trauma hospital. He serves on the Dignity Health Neuroscience Council and the Physician Leadership Team for Reliability and Safety for both of the east valley hospitals. He is on the medical board for the new state of the art Dignity Health Acute Rehabilitation Hospital in Chandler, Arizona. He is a member of the American Stroke Association, the Neurohospitalist Society and the Stroke and Vascular Neurology section of the American Academy of Neurology. He is active in research and participates as the principal investigator and sub-investigator in national studies sponsored by the American Stroke Association and the University of Arizona. His research interests are optimizing treatment options for secondary stroke prevention and enhancing the quality of life and functional recovery in post-stroke patients. Dr. Salvatore lives in Gilbert, AZ. He enjoys physical fitness, cooking, attending sporting events and spending time with his two children.